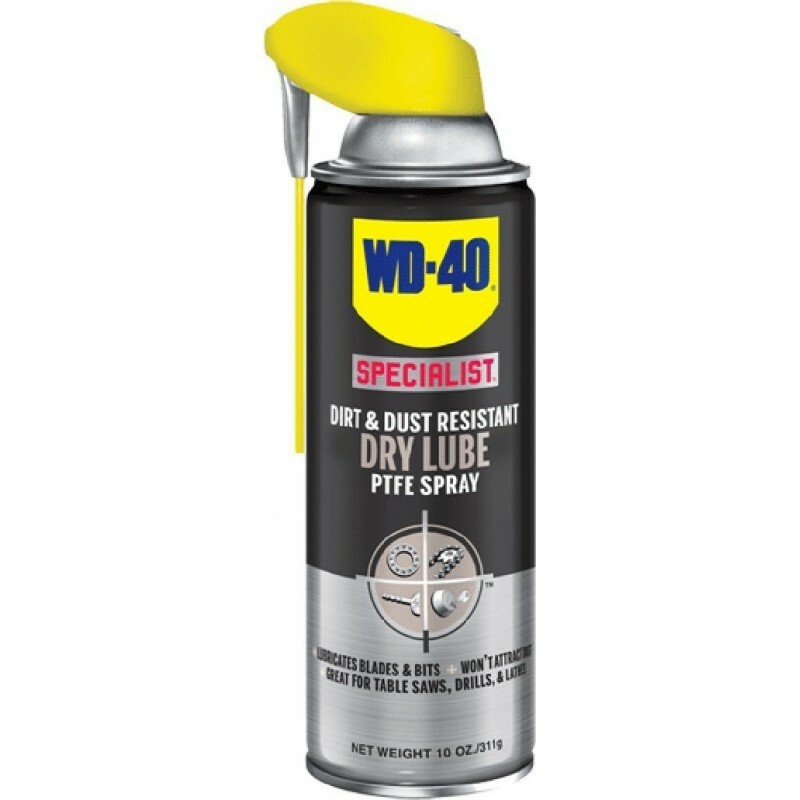 WD-40 Specialist Dirt and Dust Resistant Dry Lube spray is perfect for reducing wear and tear on moving parts. This spray comes in an aerosol can and will reduce friction by providing long-lasting corrosion resistance. The can comes with an attached straw for easy application and it creates a dry coating that will resist dust, dirt, oil, and rust.